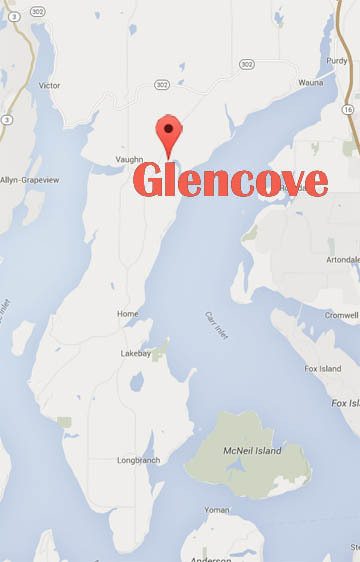 Glencove (map) was originally named “Balch Cove” after early resident Billy Balch and Captain Lafayette Balch, founder of Steilacoom. Harry Winchester logged this area in 1870 and captained the Messenger. This flat-bottomed sternwheeler would simply beach itself in the mud to load and unload supplies and then wait to be freed by the rising tide. Later, a wharf was built for steamers to dock outside the cove. Clum’s Store on the wharf was where the post office started in 1891. The name was later changed to Glencove to avoid confusion with another Balch Cove in Washington state. Nicholas and Agnes Peterson, German immigrants, moved here from Nebraska in 1884. 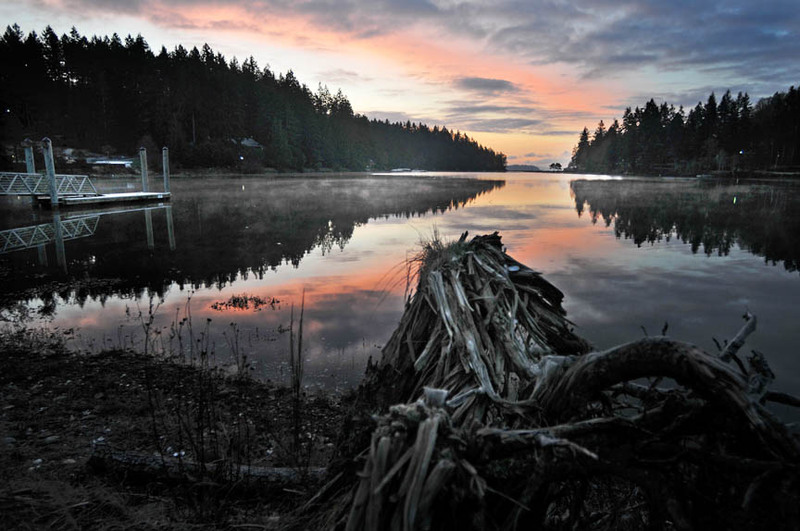 Nicholas worked in logging with Winchester and Agnes cooked for the loggers aboard a wannigan or floating logging camp. Winchester owed the Petersons money during the depression of 1893, so he deeded some of his land to them and they built the hotel in 1896. 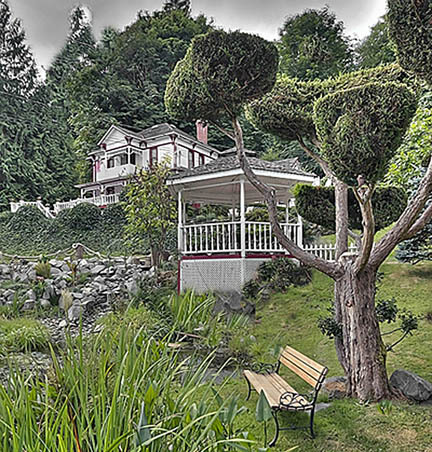 The hotel provided accommodation for “drummers” who traveled the Key Peninsula selling an assortment of wares. The hotel closed in the 1930’s as automobile traffic increased with the building of better roads. Today it is a bed and breakfast.